So we close Jazz January with a piece not specifically about jazz (though there is some in it) but instead highlighting an article from the site where we found a the majority of the months releases, Bandcamp. A few weeks back that site (which we love) profiled a really cool record label that RtBE had never heard of called Dust-to-Digital. 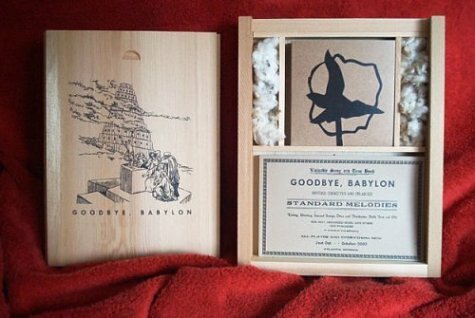 It is a label that started it's existence with a 160 tracked gospel behemoth called Goodbye, Babylon which was nominated for Best Historical Album by The Recording Academy. This is truly a great read with lots of songs mixed in to help guide you along. Many props to the author Andy Thomas, Dust-to-Digital and Bandcamp themselves for preserving these amazing pieces of history. Enjoy some more selections we found below by just scratching the surface and as always thanks for reading.